Recommended For: Relevant for nominated First Aiders in higher risk working environments e.g. Construction, manufacturing or chemical plants or where you require a broader knowledge to deal with a wider treatment of medical conditions. 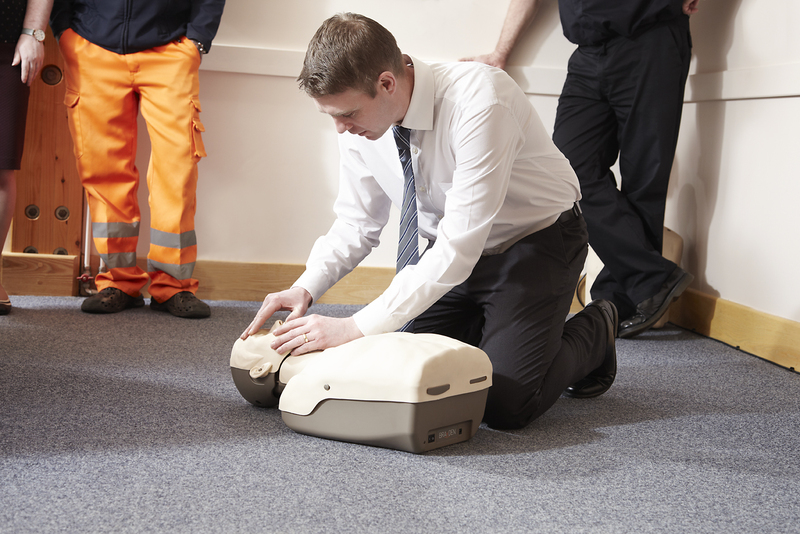 Certification: Meeting the training legislative requirements of the HSE (Health & Safety Executive) a certificate of completion will be awarded and a first aid guide issued compliant with UK and Valid for 3 years, yearly 1 day refresher training recommended. Cost: £2,565 for up to a maximum of 12 delegates (£213.75 per delegate plus VAT) . Open courses for individuals £225.00 per delegate plus VAT (click here for the next training session available) 4 practical sessions guaranteed for every delegate. "Well delivered in a friendly but efficient Manner – New content from past one – so interesting "
"Best Fire Course I have been on "
"Feel much more confident once I had used the equipment for myself "